Car Crash In DFW? Here’s What NOT To Do! Home » Blog » Car Crash In DFW? Here’s What NOT To Do! Imagine you’re involved in a crash on a major Dallas-Fort Worth highway. 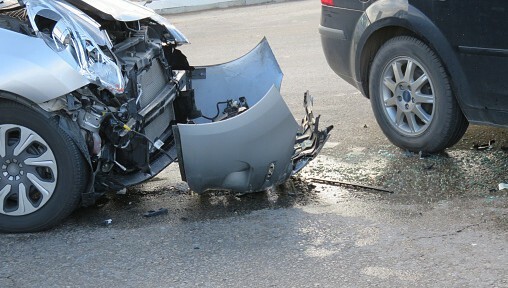 Assume that you are uninjured- but your vehicle is severely damaged and you are shaken. The possibility of injuries which are not yet apparent exists. You may be at fault, or you may not. At this point it is unclear to you- the whole event happened so fast- you’re not sure who caused the accident. If you are at fault, you will have certain legal responsibilities. If you are not at fault, you do not want to jeopardize your ability to collect damages for your losses. Here is a list of mistakes you absolutely must avoid to prevent this accident from becoming a complete disaster. If you really are uninjured after a major highway car accident, you should attempt to help anyone who needs it- without exposing yourself to excessive danger. The first responsibility of everyone on the scene is to ensure the safety and stability of everyone involved- legal concerns come later. Remember, anyone acting irresponsibly may lose favor in the eyes of a judge. If both cars are able to be moved, The Texas Department of Transportation says to move your car out of the roadway to a safer place. You can then exchange names, addresses, phone numbers, vehicle identification numbers, vehicle license plate numbers, insurance information, and driver’s license information. If another party is at fault, you need to know who they are and get their contact and insurance information. If you have suffered damages and are not at fault, then you need and deserve to be made whole. Getting the other driver’s information is essential if this is to happen. An inexpensive camera should be a part of your emergency kit. Take pictures of all the damage done to your vehicle. Photograph any damage done to the other vehicles involved and any damage done to the immediate surroundings- including telling skid marks, bent-over signs or what have you. If the other party should deviate from the truth in their testimony, your photographic evidence can make the difference between an unfair ruling and a fair one. Even if law enforcement does not respond to the scene, you want to get them to make an official record of the event. Police stations and the DMV should make the proper forms available to you. These reports will speed up the processing of any insurance claim you make. This is especially important if you are at fault. Find out what your insurance covers before discussing settlements with the other driver/s. If you’ve been involved in an accident, it is critical that you minimize the damages you may owe, or get the most of what you’re entitled to should you be the victim. Call the experts at Dasher Law Firm, or visit them online for a legal consultation with an attorney with experience in auto accident law. This is not a time to play fast and loose with your future. Call the experts and your free consultation to protect your assets immediately. The professionals at The Dasher Law Firm will review your case and find the best course of action to secure the best possible outcome for you.